When Jeremiah has the day off, you can find us bumming around the house, playing hide-and-go-seek on mommy and daddy's bed and thrifting. I keep hoping I'll find some great chair or small table or even an old metal lamp but we only find little things. That's if we're lucky. 6 stores and we left empty handed until the last stop. I'll take more pictures of what we found and post them later. The polaroid was one of our finds but now I have to scout ebay for film. Bummer. just wanna drop a little note to tell you how much i'm enjoying your blog! this comment box doesn't have enough space. I second The Impossible Project! Love your blog! 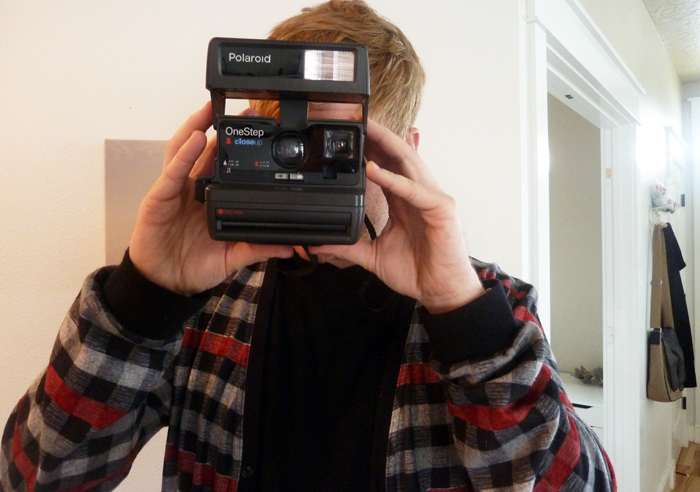 Great camera, hope you'll find Polaroid film soon! Fun...looks like my kind of day!